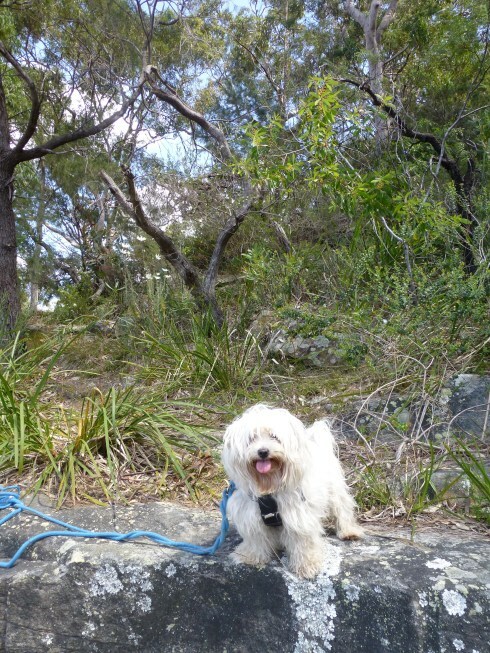 Most days, Chicki and I stroll around this bushland track. Well, in truth, I stroll: Chicki stops every few yards to indulge in her favourite pastime, sniffing. There seems to be an endless supply of wonderful smells around here, since it’s a favourite haunt of many dogs and their owners. That’s Chicki’s pleasure. Mine is looking at the river, the bush, and the wildlife: especially the abundant birdlife. It’s wonderful that Sydney suburbia still boasts lovely pockets of natural bushland.